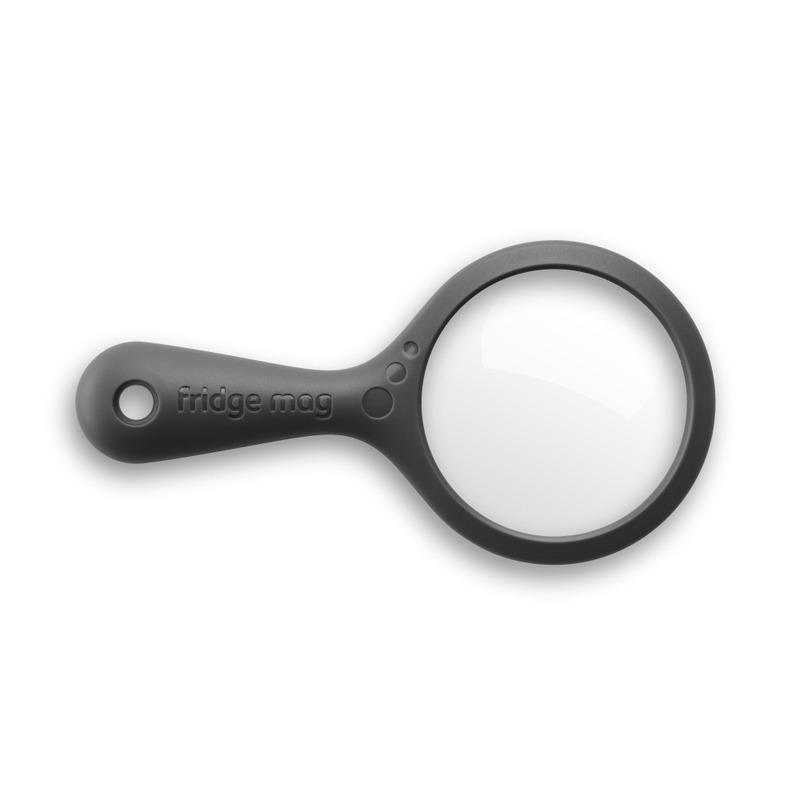 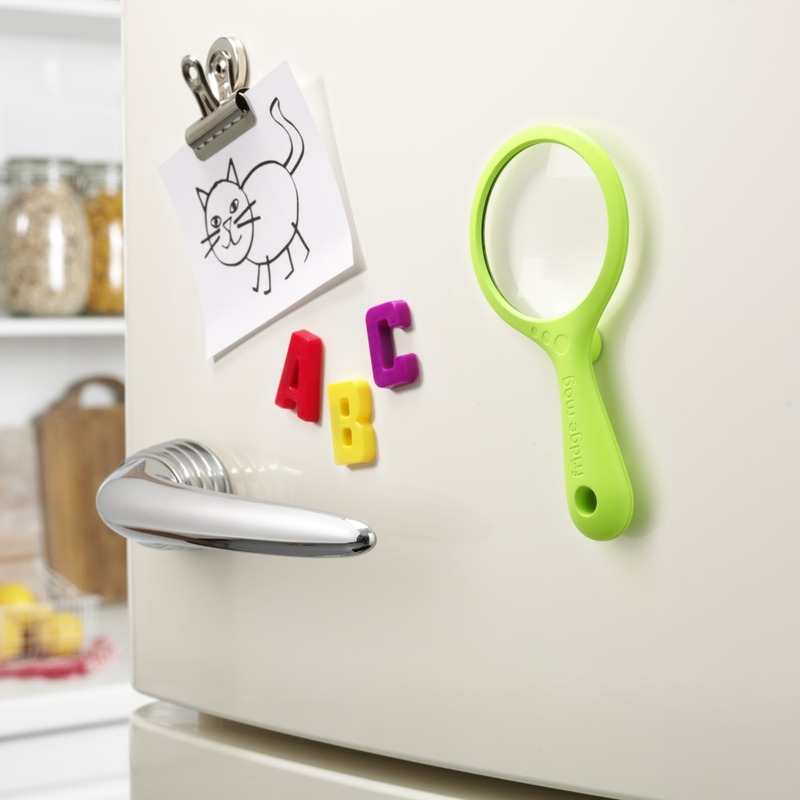 Fridge Mag is a magnetic magnifying glass that sticks to the fridge door (or other metal surfaces) so it is always handy available when cooking. 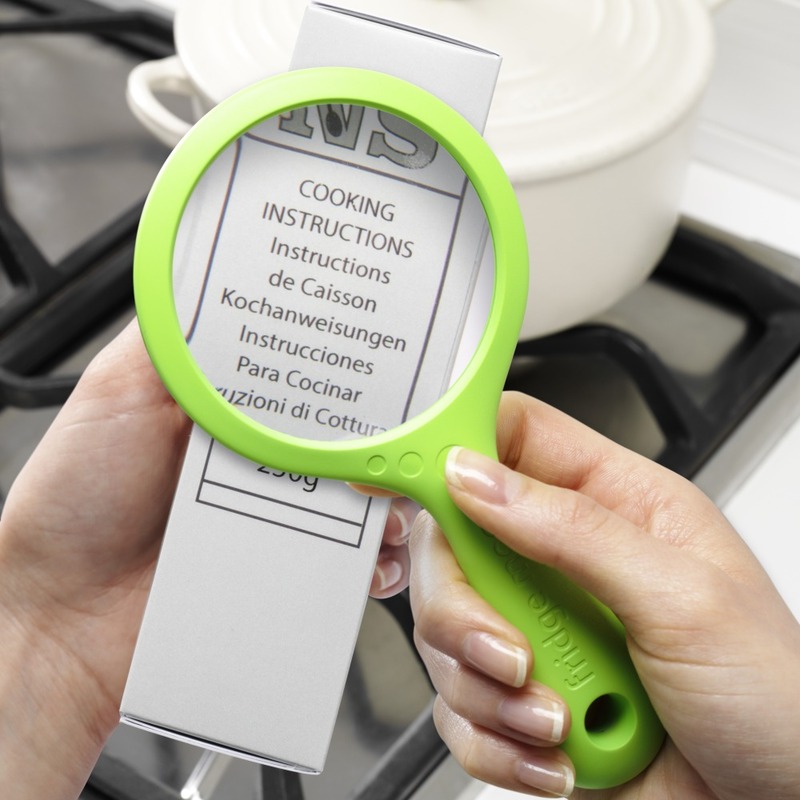 The cooking instructions on food packaging are getting smaller and smaller as food companies try to save money on their packaging and/or add more languages on the packaging. 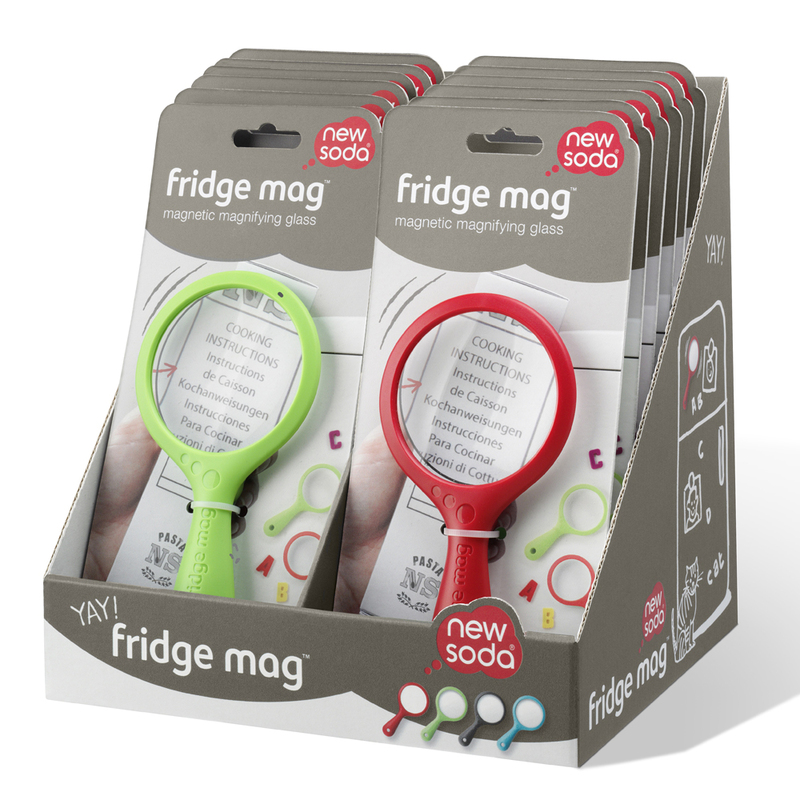 Even for those who don’t generally need or use eyeglasses or don’t always wear them, Fridge Mag is a great way to quickly read very small cooking instructions or use-by dates.